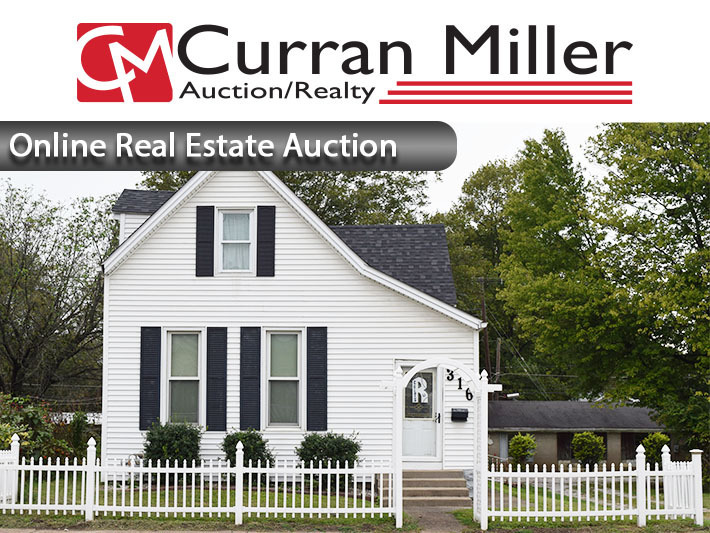 4 Bedroom, 2 Bath Home - West Side Evansville, IN | Curran Miller Auction/Realty, Inc. 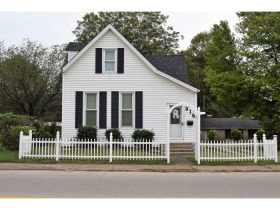 This Online Real Estate Auction Features: A 4 Bedroom, 2 Bath Home on Evansville's West Side! Conveniently Located on Evansville's West Side! 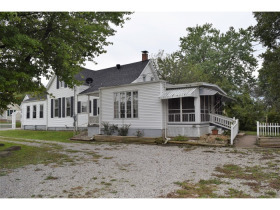 Showings at other times can be scheduled by calling the auction company at 812.474.6100. 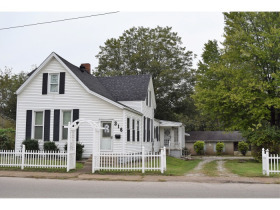 The 99’ X 130’ lot is improved with a 2,560 sf vinyl sided home with 4 bedrooms and 2 bathrooms built in 1915. 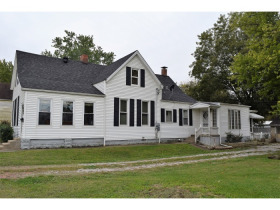 The home contains 1,584 sf on the main floor, 976 sf on the second floor and 491 sf in the basement. 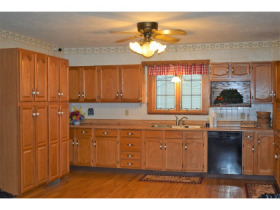 Kitchen with laminate floor, Whirlpool wall oven, gas cooktop, 3 compartment stainless sink, Frigidaire side by side refrigerator, an abundance of cabinets, 2 ceiling fans & ventless gas heater. 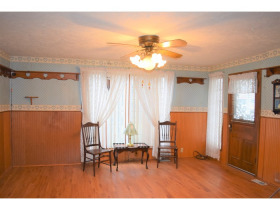 Wainscoting throughout much of the home. Living room with hardwood floors under carpet & wood burning fireplace. This room was used as a bedroom. Updated main floor bathroom with ceramic tile floor & cast iron claw foot tub. 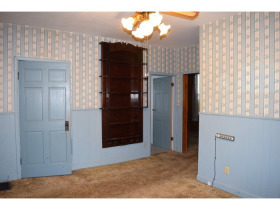 Dining room with wainscoting & built in china cabinet. Family room that could be used as a living room. 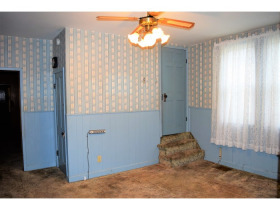 Second floor contains two bedrooms, living area and a full bath with bathtub only. Gas furnace and water heater. Water heater was installed in 2018. New vinyl siding and roof apx. 4 years ago. Central air conditioning on main level and 2 window units on second floor. Generator hook up on porch. 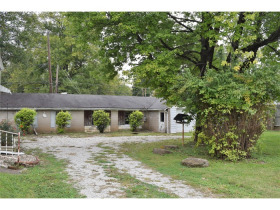 2,042 sf concrete block 2 car detached garage. •	Real estate shall sell subject to owners’ approval. •	A non-refundable, earnest money deposit of 5% is due within 24 hours of the auction conclusion with the balance due within 45 days.  •	Purchaser shall assume the real estate taxes due & payable in May 2019. •	Possession shall be at final closing. 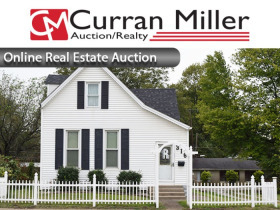 •	This online only auction is not contingent on or subject to financing, appraisal, survey or inspections of any kind, as agreed to by Bidder and or Buyers at registration prior to bidding.